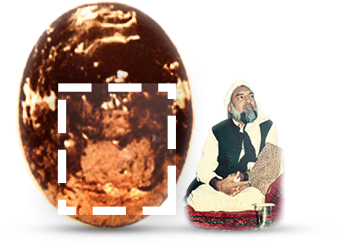 A great secret revealed: photographs of Durga Maa, His Divine Eminence Ra Gohar Shahi, Virgin Mary, and Jesus Christ have appeared in the Maha Shiv Ling (Sacred Stone in Ka’aba, Mecca, Saudi Arabia). 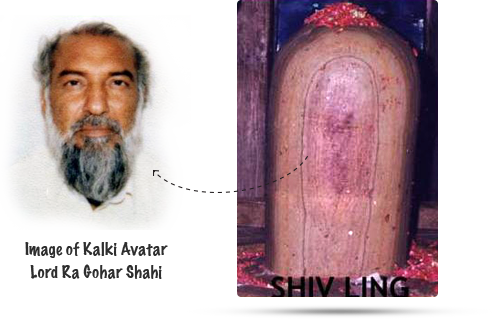 The main image in the Maha Shiv Ling is that of His Divine Eminence Ra Gohar Shahi, who many Sikhs and Hindus believe to be their Kalki Avatar. Followers of Sanatan Dharma believe that Shankar Jee brought the Sacred Stone, the Maha Shiv Ling, with him from the heavens. At present, the stone is fitted in Ka’aba, Mecca in Saudi Arabia and is known as the Hajar al Aswad. All the religions observe great reverence to this sacred stone, and kiss it out of love and respect for salvation. Who knows? Perhaps it is because of the photographs of these holy personalities that all the religions observe so much respect for this stone! The appearance and existence of these photographs on the Maha Shiv Ling are signs from Bhaghwan. Firstly, it is not possible for any human being to create any image on the stone, given that it is heavily guarded. Secondly, those who bear animosity for Islam have no incentive to make these photographs. These photographs are absorbed deep within the stone! 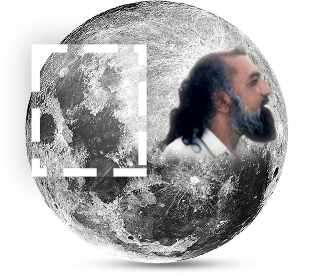 The image of Kalki Avatar Ra Gohar Shahi is clearly visible on the Moon. It is able to perform many miracles: it has been known to speak in all languages, heal ailments, and grant Simran. You too may speak with the image of Kalki Avatar and you will hear the reply in your heart in the language you speak. You may also ask the image for spiritual healing. 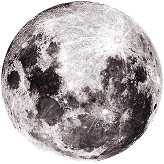 When calamity strikes, look to the image of Kalki Avatar on the Moon for your everlasting salvation! When the Full Moon is in the east, look at the image of Kalki Avatar. Then, say the name of God three times whilst looking at the image. 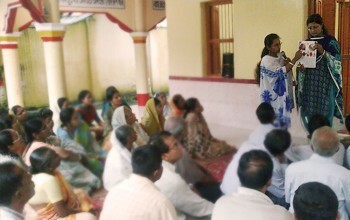 After this, you are blessed; you should then practise repeating the name of God along with your heartbeats as frequently as possible, until you notice your heart beating with the name of God. This typically takes three to seven days. If you do not notice the divine name entering your heart, simply ask the image of Kalki Avatar to help you. The image of Lord Ra Gohar Shahi has also appeared in the Holy Shiv Temple. This is also a sign from God indicating His rank as Kalki Avatar. 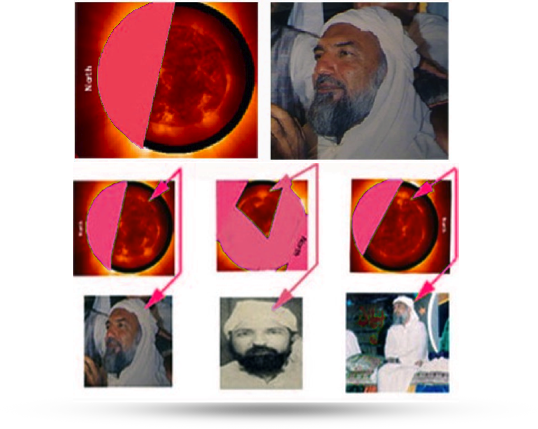 The images of Kalki Avatar Ra Gohar Shahi on the Sun further elaborate His divine rank to humanity.